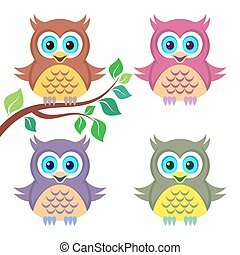 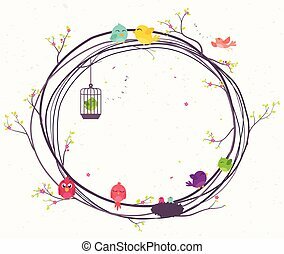 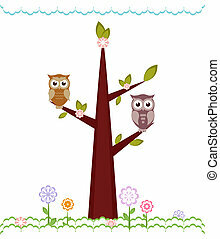 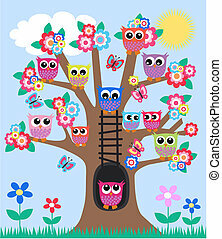 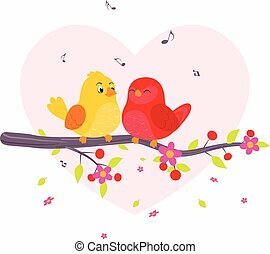 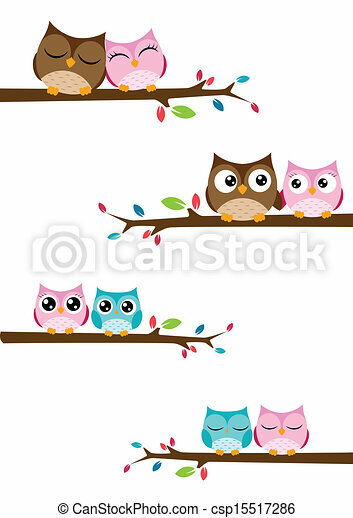 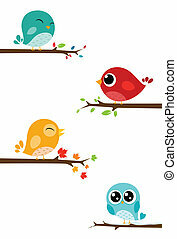 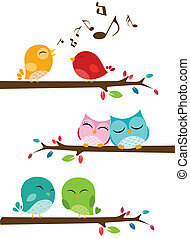 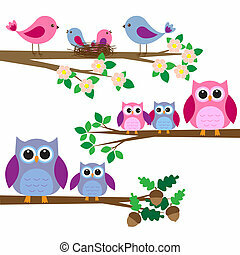 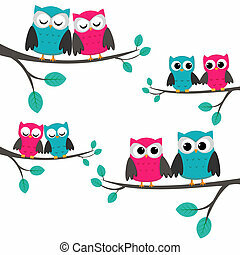 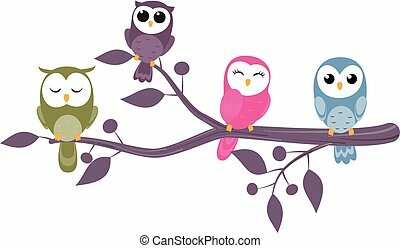 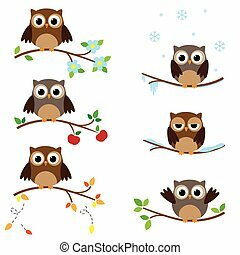 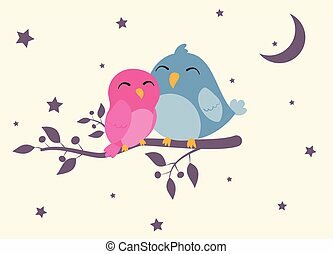 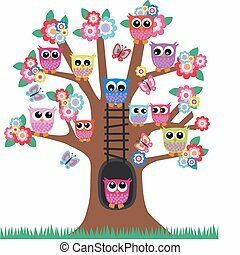 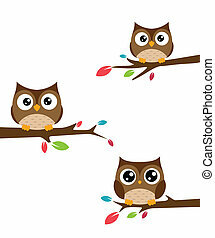 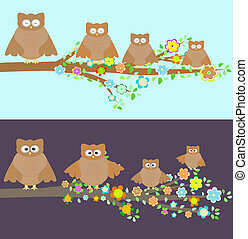 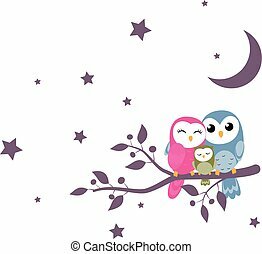 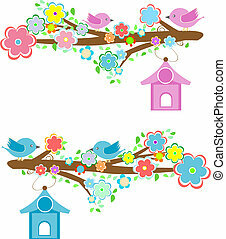 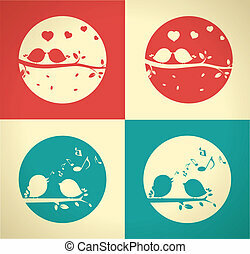 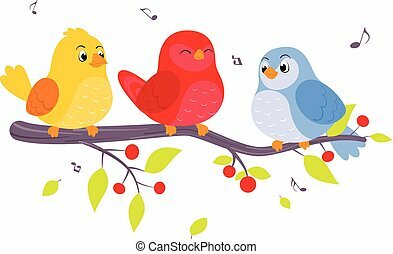 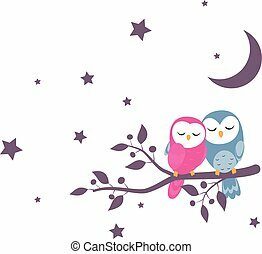 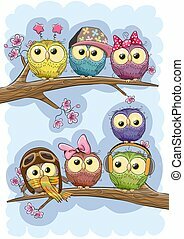 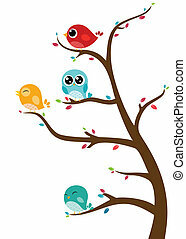 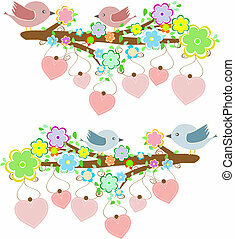 Vector illustration of couples of owls sitting on branches. 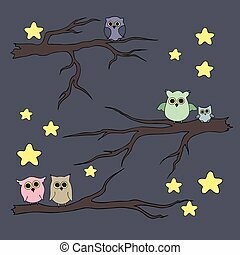 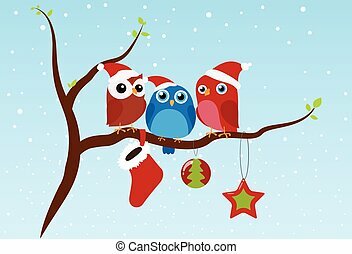 Four couples of owls sitting on branches. 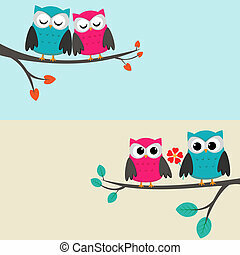 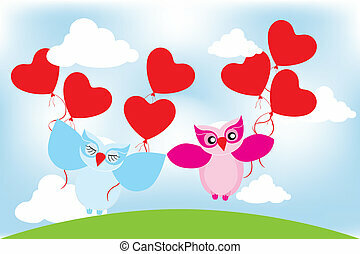 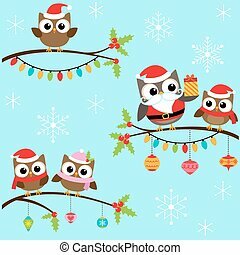 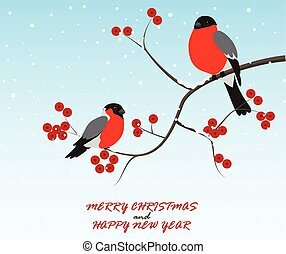 Two cards with couples of owls sitting on branches.